Just a couple of weeks back, Google announced their stand-along photo application Google Photos to store unlimited photos and videos. It was one of the features unveiled at Google I/O of Android M. And now, it’s Facebook which has come up with a new concept of photo sharing – they have launched Facebook Moments App which will allow you to share the photos privately with your friends. 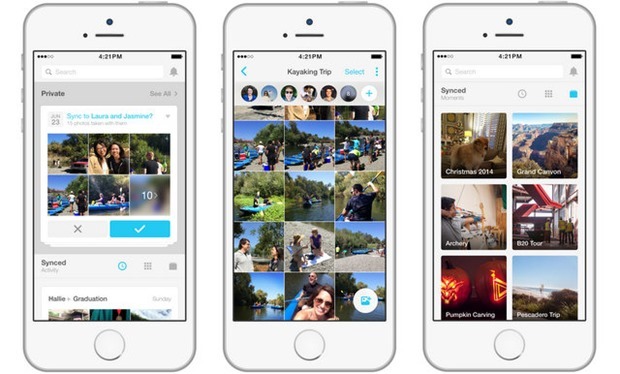 According to the announcement made by Facebook, the Moments app would work on the facial recognition technology. Say, for example, you are visiting a rock concert with a bunch of friends or a weekend party and have taken tons of photographs. Now, what if you want to share those photos to your selected friends only? 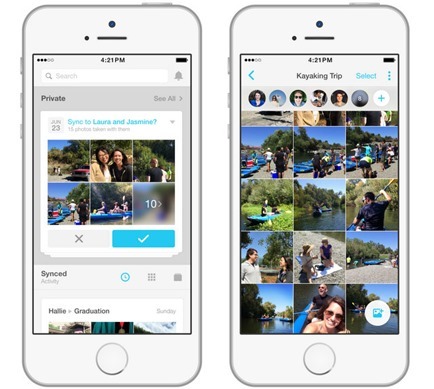 It might not be possible to manually send each and every photo of your friend to all. This is where Moments App comes handy. It recognizes the facial expressions of the person while taking a photo and synchronizes it with your Facebook friend list. Then the app will suggest you the list of friends captured in the photograph so that you can share the photographs with your friends privately. If you wish to download the app, it is available in the Google Play and iTunes store. In the last couple of months, we have seen many updates from Facebook to improve the user experience. Right from the change in algorithm of Facebook Newsfeed to adding video calling to Facebook Messenger, Facebook is getting smarter. With these many changes in Facebook, we can always expect something more from the social networking giant in the coming days. As of now, Facebook Moments App is available only for the users in USA and it will soon be launched for the other countries as well. We will update you once it’s launched for the Indian users. Really great application from facebook. Finally we will be saved from tagging out friends individually and sharing with a customized viewers. Our time and effort both will be saved.